Belle and Caesar are dachshunds. Dental disease is very common in this breed. These two both needed dental cleanings along with extraction of diseased teeth. This was not financially feasible for their mommy (pictured). Pets in Need was able to clean the healthy teeth and extract the diseased teeth. Best of all, Belle and Caesar had healthy mouths for the first time since they were puppies! Joe and his buddy Tank came to Pets in Need for help with Tank's ears. As with many pit bulls, Tank's ears were improperly and unkindly cut off when he was just a baby. As a result, Tank's ear canals are not normal and he gets repeated ear infections. Joe needed a "helping paw" for his buddy Tank and we at PIN were happy to help. We will keep a watch on Tank - he may eventually need surgery to repair his deformed ear canals so that he stops getting ear infections. Your donations can help PIN help dogs like Tank live a pain free life - thank you! 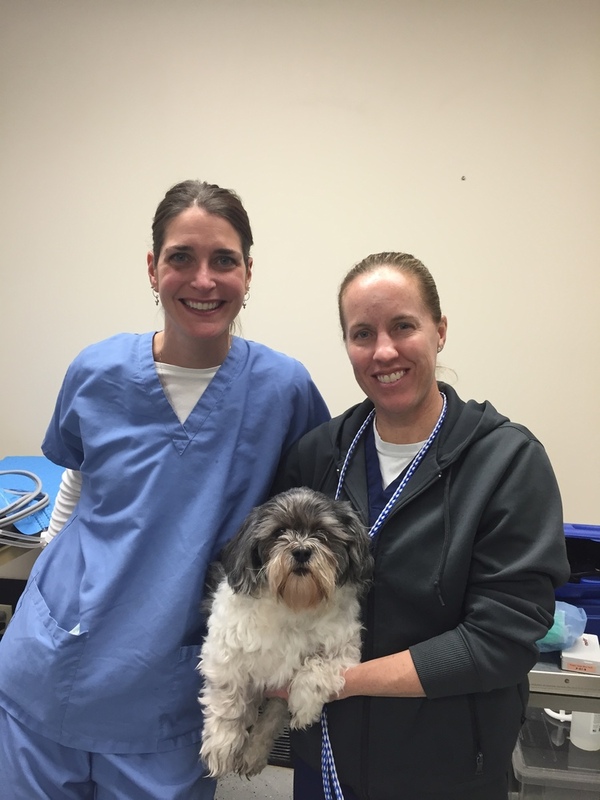 Copyright © 2015 Pets In Need - West Michigan. All Rights Reserved.